The parenting matters project is a research study funded by the Canadian Institutes of Health Research (CIHR). The study seeks to develop a better understanding about what it means to parent a child with a neurodevelopmental disorder (examples of neurodevelopmental disorders are: Spina Bifida, Cerebral Palsy, Epilepsy, Fetal Alcohol Spectrum Disorders, Autism Spectrum Disorder, Down syndrome, cognitive disabilities and global developmental delay) and the day to day experiences of these families. As part of this project, we have undertaken a national review of the legislation, policies and programs that exist to support children and youth with a neurodevelopmental disorder and their families. 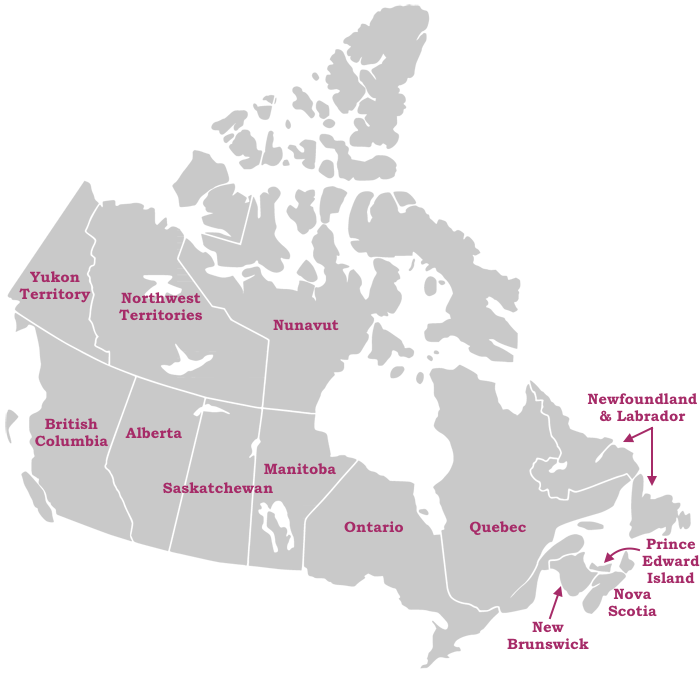 Please use the map below to explore what is available by province or territory to provide families and service providers with a broader understanding of available services and how they can be accessed in their area.